In the last video in the Charisse Says series via Modest Money, “Why Company Earnings Matter”, I discussed why you should pay attention to company earnings when you are investing money and what this information tells you about the company’s stock value. Now that you have got that down, I want to talk about brokerage firms! 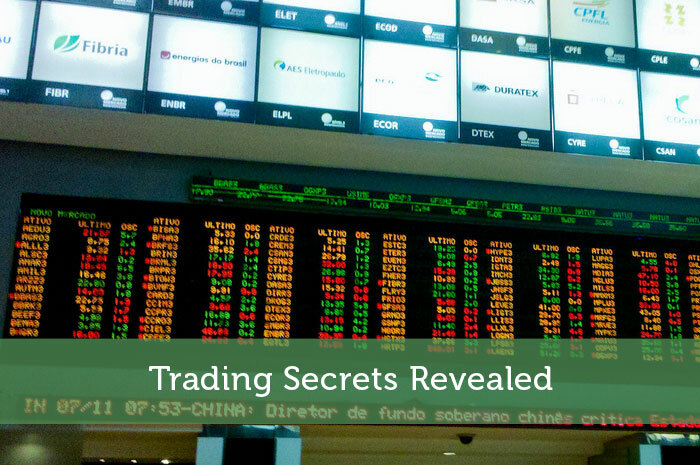 In the video below, “Trading Secrets Revealed”, I discuss what a brokerage firm does and how it can benefit you. You will even see a guest appearance by Eddie Murphy!!! 1) What is a brokerage account? 2) Where do you go to find one? 3) How much money should you put in one? Well, a brokerage account is just a place you put your hard earned cash to make your money grow more than it would in a checking or savings account. This happens because when you put your money into a brokerage account, it will be invested in financial securities (stocks, bonds etc.). It is important to note that, as with any investment, you can also lose money from these financial securities. But I strongly believe that the risk is one worth taking. Remember, in a previous episode in the series, I went over why investing in stocks is a good long-term move. You use a broker to open a brokerage account. A broker’s job is to act on your behalf and allow you to buy and sell securities in the market. In short, when it comes to the stock market, your broker is the middle man between you and the stock exchange. Brokers are great because they also provide additional access to investment products and services providing you with more options for your money. Brokerage accounts are where it’s at because when you are using one your money is growing without you having to do very much! How awesome is that! Where do you go to find one? OK, so I have got you excited about brokerage accounts but now you need to know where you can open one. Well, you open a brokerage account at a BROKERAGE FIRM. The answer seems obvious now, I know. Back in my parents’ day, you had to go to a physical office and talk to a live person at a brokerage firm. With anything human and professional, people paid a GRIP in fees to brokers to execute on their trading strategies. These fees are commissions. As you might imagine, this service was mostly used by the wealthy. But, then came along Charles Schwab. Schwab was one of the pioneers in financial technology and developed an online brokerage platform, which drove down the cost of doing business and thus lowered the commission amounts. So now we can trade electronically through a multitude of online brokers. Watch the video below for a list of some of the biggest names in the online brokerage space, my recommendations on the factors to consider when looking at the brokerage firm, and why due diligence is so important. How much money should you put in one? Now that you know how to pick the right brokerage firm for you, you need to know how much money you should put in your account. My recommendation is $3,000. In the video below, you can find out how I came up with that number. Please keep in mind that some firms require that you have a minimum amount (e.g. $1,000), so make sure you pay attention to that. If you don’t have enough money yet, many brokerage firms allow you to open a virtual account and give you play money so you can practice. When you get your money right (AKA save up $3,000 to open a brokerage), you’ll be ready. The first step is applying for an account and putting cash in it. In the next video in the series we will talk about some great places where you can put that cash. So, check out the short, funny, and informative video below! You won’t be sorry you did. Charisse Conanan Johnson, CFA, is a T.V. personality, financial wellness expert, entrepreneur, writer, and speaker. Charisse is the creator of the Charisse Says Show. You can follower her @CharisseSays.